As the founder and owner of a caregiving agency, Cindy has a vast amount of knowledge to share concerning the elderly and aging. Finding an activity for someone with Alzheimer’s or dementia can be a difficult task. Sometimes it’s hard to gauge which memories they retain of past leisure activities, and which abilities they retain as they progress through the disease. We also want to avoid putting them in a situation where they might feel that they have failed. But there is an activity that seems to work for most—coloring. Coloring is a great activity for kids of all ages. That includes kids whose age exceeds two digits. Coloring is also an excellent activity for individuals with Alzheimer’s disease. Coloring has long been considered to be a therapeutic activity, again for kids of all ages, young and old. 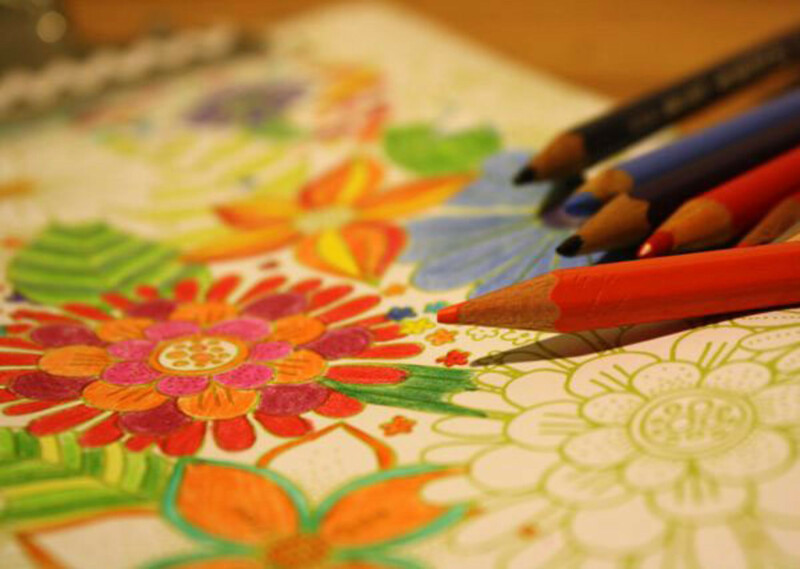 Coloring is known to reduce and relieve stress, and it improves hand-eye coordination. When planning to introduce an activity such as coloring, we need to take a few things into consideration. Some of the elderly population that we are dealing with have never truly learned how to relax. They might have had a hard time dealing with the concept of even retiring, or with letting others do so many things for them. These same adults may initially consider coloring to be a waste of time. But even before we get down to the actually activity of coloring, there are a couple of things we need to consider. The first is the subject matter of what is being colored. First of all, I discourage anyone from going to the store and buying a coloring book – essentially, I mean a children’s coloring book. Presenting an adult with a children’s coloring book could be very demeaning. The second is the actual tool used for coloring. I actually use a combination of colored pencils and felt tipped markers, with an occasional gel pen thrown into the mix. 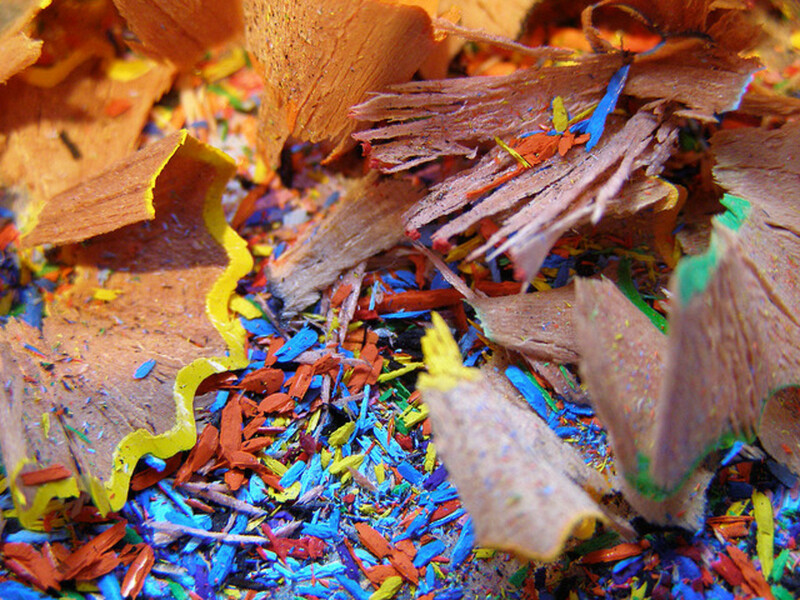 Most older adults would consider wax crayons to be childish. Fine tipped felt tipped markers like the ones pictured here are my favorite. They provide a nice bright color and fill the area in fairly quickly. They do not allow you to blend colors, however. But a large color selection like the one pictured here helps to make up for that. 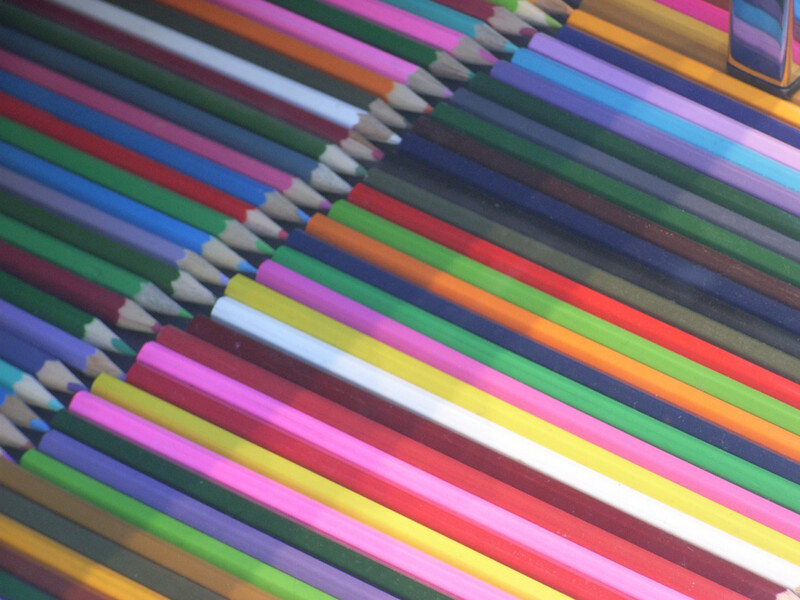 If you want to blend colors, pencils colors may be your best bet. 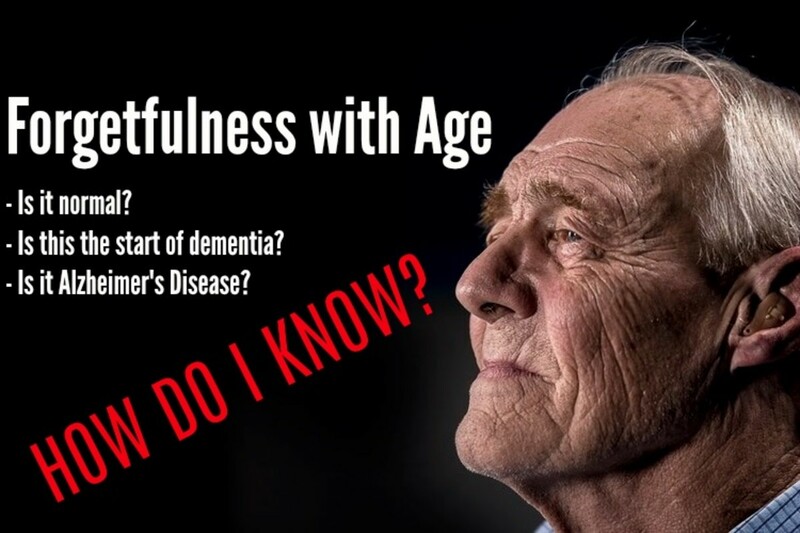 For someone dealing with Alzheimer's or some other dementia, felt tipped markers can be used with the understanding that they can be messy and hard to control and will bleed into the paper if allowed to sit too long in one place. This means that markers may not be the best for someone who has Alzheimer's or dementia, but are great for everyone else. 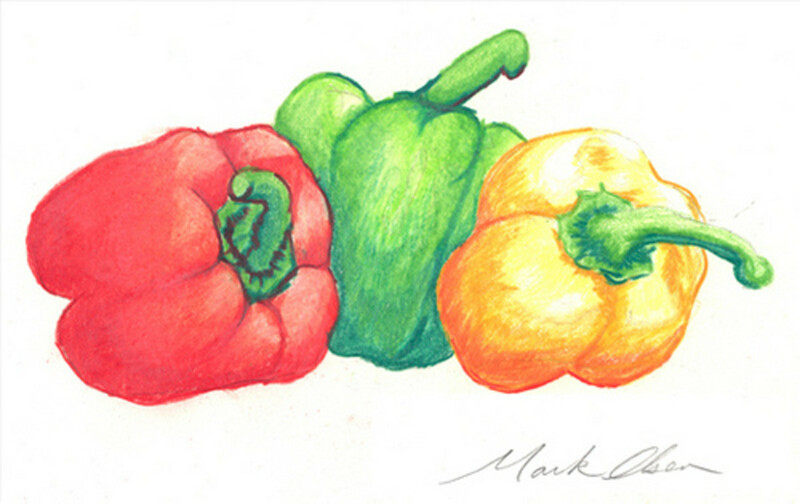 Colored pencils are the ideal tool for all adults. Some adult coloring books and sites have abstract and surrealistic (nonsensical and/or dreamlike) topics that can be colored. When choosing an activity for someone with dementia or Alzheimer’s, I would avoid these two styles. The pictures in these styles of coloring pages could be very confusing to a mind that is having difficulties. This could cause agitation and anger, and that would not be the effect we were aiming for – ever! Dover publishing creates excellent coloring books for adults that are used for educational purposes. I have included a couple of examples of their books, below. They have coloring books focused on old cars, baseball, fish, birds, fashions in the 50's, football, trains, etc. Dover makes them all. Choose a topic that will interest the person you are buying for. And listed here are some links to websites that include coloring pages specifically for adults. Free Mandala Coloring pages. All Mandala coloring pages are printable. Coloring is also good for intergenerational activities. In fact, an adult that may not show any interest in coloring on their own may be more than willing to color with their grandchild, or any child for that matter. You can also sit down and color with them exchanging thoughts and ideas about the pictures you are coloring and the colors you are using. You may even have to color for a while by yourself while they sit and watch you before they finally are able to relax and join in on the activity. Coloring is an activity that absorbs the mind and allows us to let go of our worries for a time. Coloring is accomplished through repetitive motion (back and forth, up and down) which can be very relaxing and calming. Choosing the colors to be used to create the masterpiece can be stimulating for the mind. Coloring can be stopped and started as focus or attention wanes. Coloring has no known negative side effects either. So bring a little color into their world, and you just might change both of your worlds. Color their world with love! Comments: "Activities for Alzheimer's, Coloring Pages for Adults"
Great input, sarah. I was an activity director in a couple senior facilities and they really did not have trouble with the adult themed books. I worked in memory care facilities that specialized in Alz care. But those that did experience difficulties could use the simpler pictures. I love the concept and wanted to add my two cents . (I'm a speech therapist in a skilled nursing home) keep in mind that many persons with dementia may become over whelmed by complex, intricate designs common to adult coloring books. i find that being able to complete a task is also very important to the dignity of my patients. when I do coloring with patients I look for simple designs that usually originate from kids coloring books, but that do not have childish themes. That way, the image is simple, but still age appropriate ( like a picture of a tree with falling leaves). The mandala designs are beautiful, just don't be discouraged if your loved one isn't up to coloring one, he/she may enjoy simpler designs. Also, I agree that crayons feel childish, but I use markers for their grip-ability! Easier on arthritic hands! Lee, thanks so much ... for leaving a comment, and for creating activities for this special group of people. Blessings to you. As an artist who draws line art coloring pages for all ages, it's nice to see an article devoted to one of the areas I focus on when I create an adult picture for coloring. 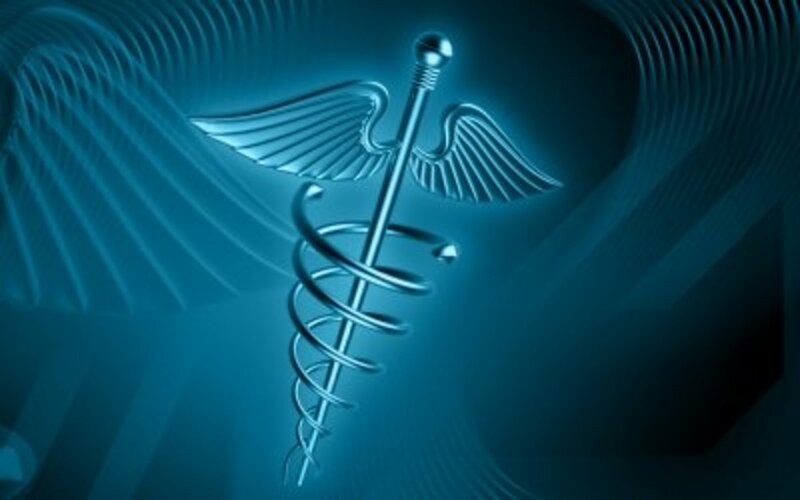 Simple lines, familiar topics, and images that evoke memories are the most popular downloads from care facilities and hospitals that visit my web sites. When dealing with Alzheimer's and dementia, it is best to do everything you can to keep their esteem high... using adult coloring books will help with that issue. If you think that they might like the subject matter in a children's coloring book, you could always provide that as an option and then let them choose what they want to color, and which book they want to color from. I partly disagree about the children's coloring book. If you're presenting the idea to someone else I can see your point, but I find coloring relaxing and I like coloring pages of stuff from my childhood. I just finished a He-Man page a little while ago. It can be challenging depending on how you do it and how you do it partly depends on your materials. I do of course use colored pencils (aka pencil crayons) but artist ones which are a bit softer for blending. (They're also much more expensive, but worth it.) A lot of the vintage stuff can be found for free on the internet, as buying an uncolored vintage book is very expensive. At least $20 for a book that was maybe $2 in 1984. Let me know how it goes. I need to more all my Alzheimer's articles back to this site. Be on the lookout for them. Thanks! I will try these with my mom. I am so pleased that this has helped you. 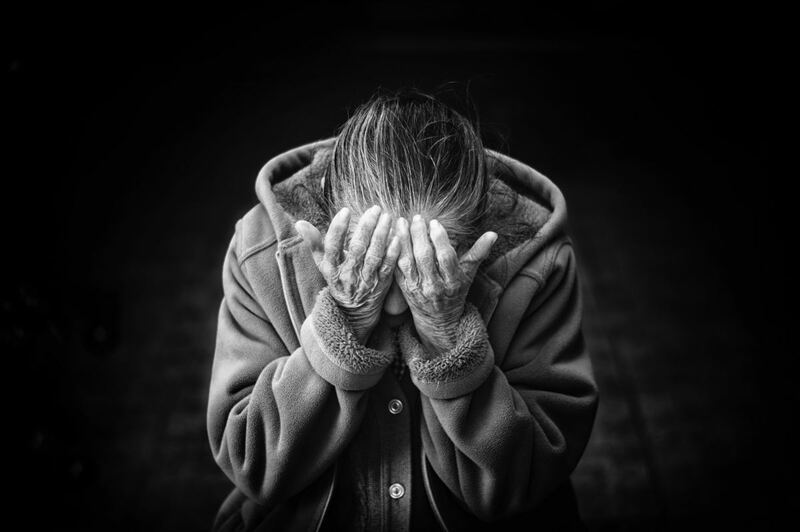 The people who suffer from Alz really need our help to deal with the world them find themselves in. Any way we can help them relax is a blessing for them and those around then. I like to color too when I have the time! Great article, thank you! I enjoy coloring and as an adult it may look strange to have such a hobby, but it is mentally stimulating and a great way to relax. Excellent!!!!! I am linking back to your hub from one of mine. Voted up and awesome. Sunnie Day - That is exactly right. This is a multigenerational activity that several generations could do and enjoy together! tammyswallow - this is a very calming activity and since people who have Alzheimer's can be agitated, it is a good activity. alocsin - you are right - it is good for any adult, especially for stress relief. I enjoy doing it. Pamela Kinnaird W - Thanks for your kind words. Sunshine625 - I really do want to make their lives and and the lives of those that care for them better. Thanks! A special thanks to all of you for stopping by and making this birthday a memorable one. You guys have totally buried me with comments. It is now 3 days after my birthday and I am still trying to get to all of you. You guys rock! Jeannieinabottle - Women seem to enjoy it more than men, but if he had these tendencies, he may really enjoy it. Pick an adult and masculine subject that he would enjoy coloring such as wildlife or cars. Check into the Dover coloring books. You should be able to find one on a subject that he would enjoy. Good luck and I hope you are able to make a connection with him. Thanks so much for stopping by! Alzheimer's patients are lucky to have you as an advocate HSB. To all advocates who give their time and energy to a cause that they support I salute us!! This is a great idea and you have explained it very well. Thank you for sharing this idea. I've never heard of coloring pages but can see how this can be effective. I'm thinking this also fun and stress-relieving activity for any adult. Voting this Up and Useful. What a calming acitivity. These are some great activities and a great deterrent for anyone who is confused and stressed. Unique! Wonderful Suggestions! Thank you so much..Coloring crosses all age barriers and it is one that can even be done together. This is a really interesting idea. I would have never thought to try this with my father. I will see if I can get him interested in coloring with colored pencils. He used to like to draw when he was younger. Thank you for sharing! RTalloni - It really is a great activity that does free the mind to talk. And it helps them reminiscence about when they colored with their own children or when they colored as children themselves. This is a great activity to keep in mind for the elderly. Sitting down to color with them might be a way of initiating some great conversation. So do I, I think. LOL Blessings. f - sometimes I think outside the box! Well, this is another interesting perspective, that you mention. Blessings. f - art is good for the mind and soul. We were created in the image of a Creator. Therefore we have a need to create. You are right about it lowering stress. It's precisely this kind of activity which serves to help a person going through a lot of pressure that helps to relieve it. It seems that as ppl get older things they have done for years can gradually get to involve much more effort, whether or not Alzheimer's is formally diagnosed. So a constructive hobby such as drawing or painting is highly to be recommended, I'm sure. f - coloring is really beneficial for everyone. It lowers stress. And it never hurts to feel like a kid again! Thanks for stopping by and for commenting. Voted up. Such a good idea. The simplicity of it is appealing. Cloverleaf - As always, thanks for stopping by and commenting. Hi homesteadbound, a very useful and informative hub as always! I like how you keep it simple and use age-appropriate materials to color. Thumbs up! Thank you, Happyboomernurse! I think it is a good idea to keep as many people involved in their lives as possible. And you are right - kids do bring out the best in them! Great suggestions and tips for getting Alzheimer's patients involved in coloring activities. I particularly liked your suggestion to make it a multigenerational activity as kids usually bring out the best in Alzheimer's patients. rebekahELLE - I'm glad you found the hub inspiring. I want to help make a difference in people's lives, and Alzheimer's is one of the places I have chosen. And I agree, coloring is for everyone. Thanks for stopping by. A beautiful and very helpful, inspiring hub. Coloring is so calming and produces a tangible result which can be important for someone with Alzheimer's. The images are so pretty. Working with preschoolers, we sometimes color mandalas. It's very calming for this age also and can help them focus.